...be a source of support for life’s challenges just as Jesus Christ showed with His example while on the earth. Santa Margarita Teens gather together for Sunday Services. Boy Scouts in the Church in many countries work hard on earning merit badges, achieving the typical ranks from Tenderfoot to Eagle and going on high adventure trips. They climb mountains, test their outdoor skills and endure the rainy, snowy and hot weather. They return home from a 50-mile hike dirty but happy for accomplishing something they weren't sure they could. 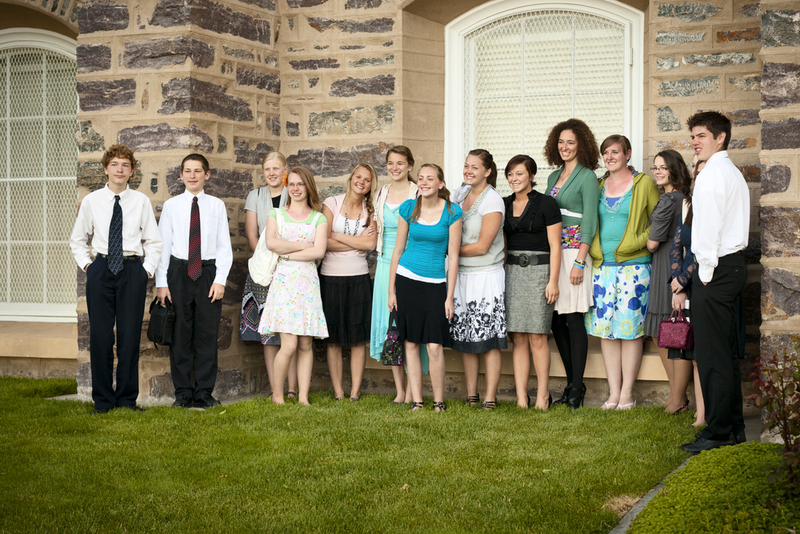 In addition to Sunday worship and the weekly and summertime activities, Latter-day Saint youth between the ages of 14 through 18 enroll in seminary. Before the school year begins, youth sign up for daily gospel instruction during early-morning seminary. The purpose of seminary is to help youth understand and rely on the teachings and Atonement of Jesus Christ, qualify for the blessings of the temple and prepare themselves, their families and others for eternal life with their Father in Heaven. A good support group sure does help. "From age three I was singing the song, “I am a Child of God”. How could a small child understand that there was something about her—something about everyone—that makes them matter. I do not think that I would have such a deep understanding of the world and my role in it if I did not learn and practice it in my religion. It is because I know that there is a God, and he loves me, that I know that my life has a purpose, and it is my job to make it meaningful to me, Him, and everyone I meet. " In today's world, the life I love to live is much different than teenagers around me. I dress differently, I talk differently, and I act differently. Wednesday nights. The gospel of Jesus Christ is what I love and I only want to learn more and share it to everyone around me!